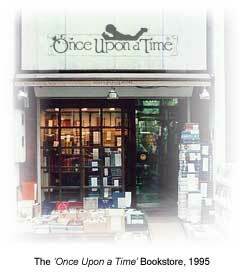 For over 20 years, Once Upon A Time has been creating custom book baskets. Jane, co-owner of Once Upon A Time, operated one of the most successful and respected children's bookstores in the U.S. for ten years before devoting the business full time to these popular baskets. It was at this time that ‘Baby Book Baskets.com’ was born. Each basket is completely unique and custom made! 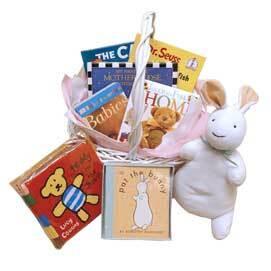 Using their expertise on children's books, the Once Upon A Time team individually selects each book that is included in every Basket! Their service and expertise cannot be matched by superstores. Each order is accompanied by a short list of questions about the child and family. Using these questions, we are able to carefully select books unique to the child. Madonna, Arnold Schwarzenegger, Chris Evert, and Will Smith are only a few of the celebrities who have received our baskets. Call us and take advantage of our experience. Send one to a loved one today!